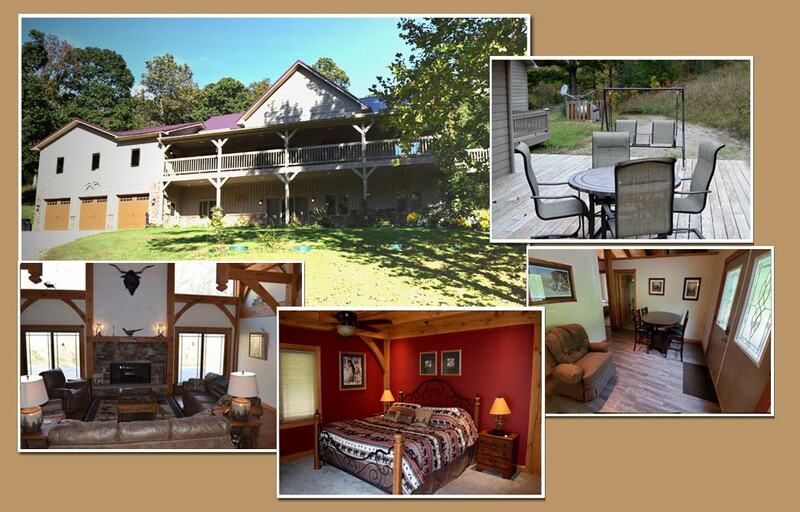 Four Bedroom Hocking Hills Lodging for 8 - The Lodge at the Diamond B Ranch. 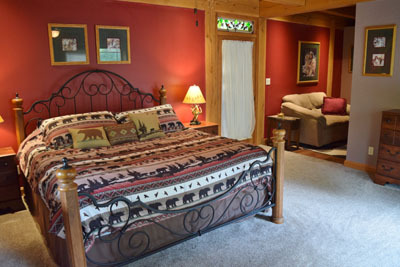 The Lodge at the Diamond B Ranch, in the heart of Wayne National Forest, offers a secluded getaway within a short drive of Hocking Hills State Park, Old Man’s Caves, and Ash Cave. 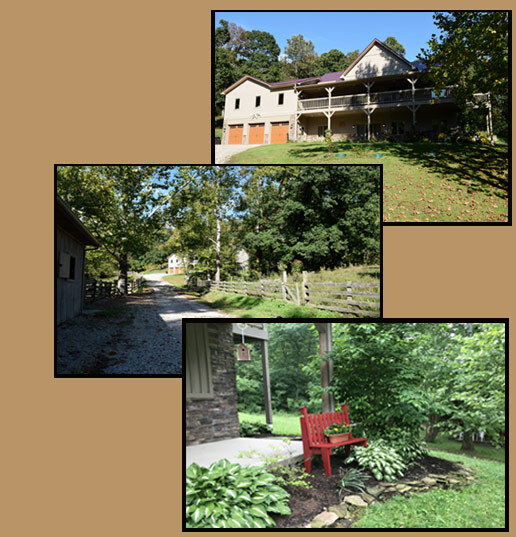 This remote retreat features a park-like setting in the midst of 116 wooded acres with abundant trails for relaxing hikes. 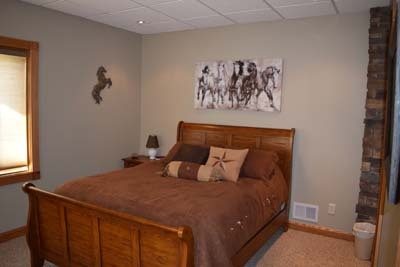 The lodge features a huge master suite with king size bed, ceramic bathroom with oversized shower, walk-in closet, TV/Dvd, and private balcony. 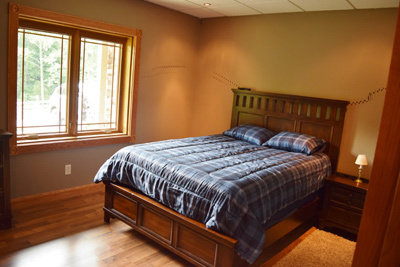 The three other large bedrooms have queen sized beds. 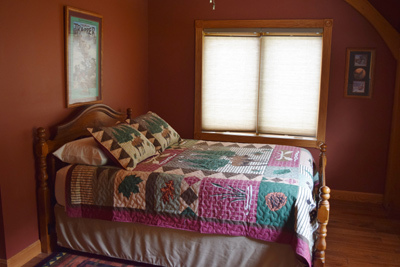 Two of these have TV/DVD players while the third is an electronic free retreat for those who prefer to enjoy the quiet this beautiful place has to offer. 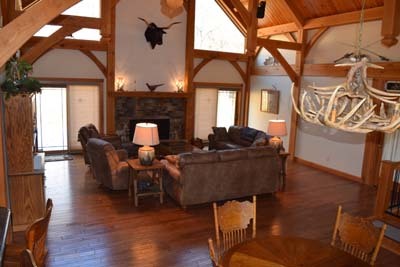 A gas log fireplace in the great room will make it nice and cozy even with the 20ft timber frame ceiling. 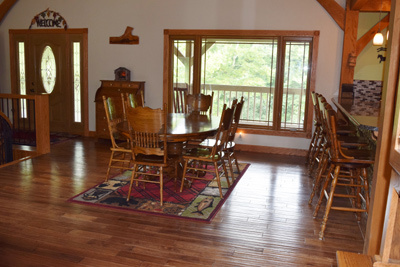 Your family and friends will also enjoy sitting down to dinner at the dining room table that seats six and adjacent bar that has seating for four more. The full kitchen has everything you will need including stainless steel gas top stove, refrigerator with ice and water on the door, convection microwave and dishwasher. 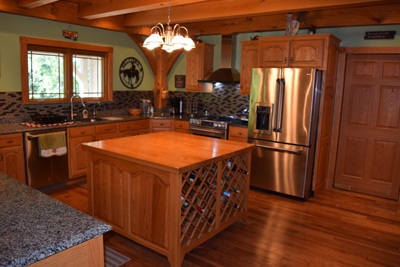 The abundant granite countertops and large center island give you plenty of prep space. Don’t feel like cooking inside? 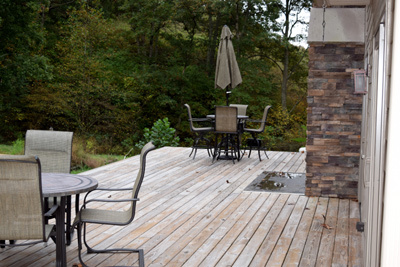 Cook outside on the charcoal grill and enjoy the large deck. 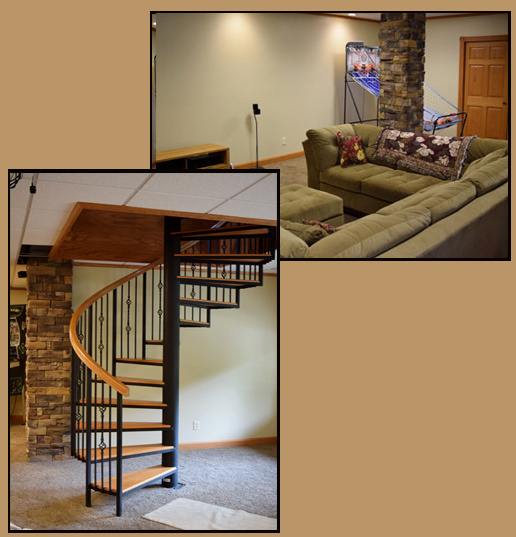 Take the spiral staircase downstairs and you will find a 120” projector TV with satellite, pinball machine, basketball game and electronic dartboard along with lots of DVD’s and board games. 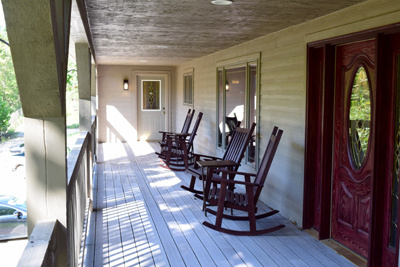 If you just want to sit and enjoy the peace and quiet, try the rocking chairs on the large second floor porch. Keep in mind that sometimes the crickets and frogs get very noisy!
. . . Or build a bonfire and make some smores. will help you enjoy all life in the country has to offer!